THREE men have been sentenced to pay thousands of dollars in fines for catching undersized blue manna crabs in Erskine and Nirimba. Zhanwei Li, who didn’t appear in Mandurah Magistrates Court today, made an endorsed plea of guilty to possessing undersized blue manna crabs. Fisheries and Marine officer Dean Gregory said the Associate Professor was found with 39 undersized blue manna crabs in a box on February 11 when he was fishing in Nirimba. The crabs were seized and then returned to the water by fisheries. In a letter to the Magistrate, Li said it was his first time crabbing with his two 10-year-old children and they were going to put the undersized crabs back in the water and he felt “remorse” over the offence. Magistrate Anne Longden fined Li $1500 and a $1950 mandatory penalty and granted him a spent conviction. Hesick Choi, who represented himself in Mandurah Magistrates Court, pleaded guilty to being in possession of undersized blue manna crabs, obstructing a fisheries officer and giving a false name, address and date of birth. Fisheries and Marine officer Dylan Pross said the solar panel installer was seen with a crab scoop and a small esky in Erskine by a fishery officer at 6.50pm on January 14. Choi looked at the officer, turned his back on them, opened the esky and discarded a crab. He then turned around again to the officer and continued to tip three crabs back in the water. He initially had four blue manna crabs that were between 105.8mm to 123.8mm in size. Choi then gave false personal details to the fisheries officer. Choi told the court he put the crabs back in the water because he was “scared”. Magistrate Longden said all matters were serious. “Loads of people want to crab but there are strict laws to be followed,” she said. Magistrate Longden fined him $2000 plus a $200 mandatory penalty. Wei Sheng Boo, who didn’t appear in court, made an endorsed plea of guilty to obstructing a fisheries officer and possessing undersized blue manna crabs. Mr Pross said Boo was fishing with a co-accused at Len Howard Conservation Park in Erskine. Boo was 5m away from a fisheries officer, stopped to look at him and as the officer yelled “stop”, Boo walked back to the water to set several undersized crabs free from his bucket. 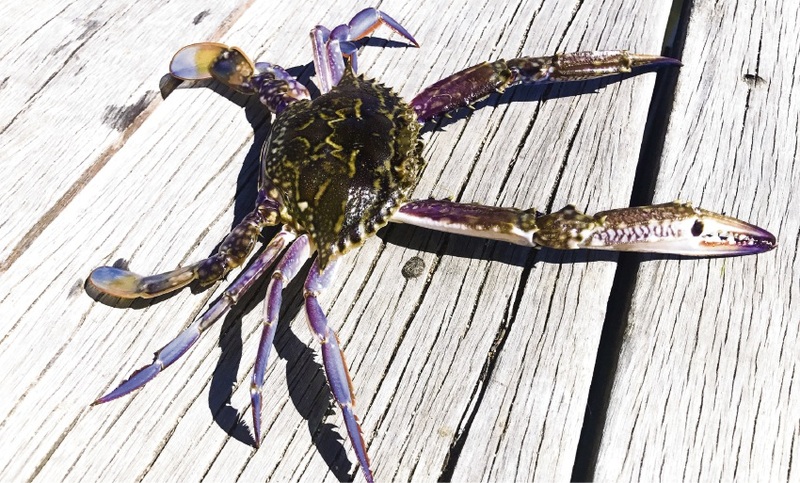 Mr Pross said five blue manna crabs were recovered from the water – all ranging from 87.9mm to 124.4mm. The co-accused received an infringement penalty. Boo told the fisheries officer at the time he was “scared”, which is why he didn’t stop when he was asked to. Magistrate Longden fined him $3000 and issued a $250 mandatory penalty.